If you would like to show all your WordPress posts on a single page, there are a number of ways you could do that. We’ll go through a few ways below, and you can adopt them or adapt them depending on what you’re looking for. If you’d like all your posts displayed on your front page along with the content of the posts, you can easily do that by going to the Reading Settings screen (Settings > Reading) and changing the number of posts to show to something more than the number of posts you have. *Note: This will show your posts in the same way as they are showing now. It will just show more of them. 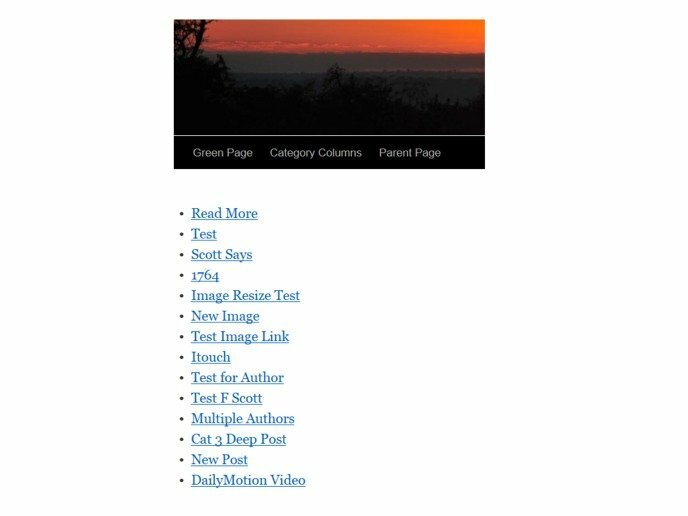 If your theme is set up to show full posts, you can show excerpts with this plugin. If you don’t want to show any content from the posts, and instead would like to just show the titles linked to the full posts, then this is one possible way to do that. First create a new custom page template. You can then customize that template by adding the following code to bring in the latest posts. As with the solution above, simply set the number to something very high (higher than the number of posts you have). In this example I’ve put in 1000 posts. And here’s how the list looks in the theme I’m using for this example. 1. You can use the code above and replace the code for The Loop. This means that you will not be able to write anything on the page through the Page Editor in your Admin area; however, you can of course write whatever you want in the Page Template itself. 3. You can of course also set this newly created Page of links as your homepage by going to Settings > Reading > Front Page Displays. This would be an alternative to having full posts or excerpts on your homepage. Although there are other ways to display all your posts together, the ways above should work for you. And of course it should be noted that if you have a LOT of posts to display, showing them all at once may slow down your site for that page, so you’ll want to be careful about that.